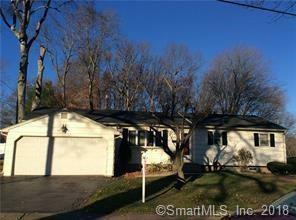 Plenty of space in this well maintained Ranch in the Live Oaks School area of Milford. Situated on a cul-de-sac this home has a 2 car attached garage, 3 nice sized bedrooms on the main level, master with a full bath, sliders from the kitchen leading to a bonus/family room with cathedral ceiling and plenty of windows to let the sun shine in, a great room for fun, relaxing or entertaining. There is also a partially finished basement and another bedroom in the basement area, along with a laundry room and hook up for a washer and dryer. 5 year old roof. Nice yard with shed. One level living at it's BEST! Minutes to beach areas and shopping. Directions: Merwin Ave., To Live Oaks Rd., To Paul Braun Ct.